The Logan Squares beat the White Sox and Cubs after they played in the 1906 World Series. CHICAGO — Most Chicagoans know the White Sox beat the Cubs in the 1906 World Series. It's likely almost none of them realize both the Cubs and the Sox lost to a Logan Square-based semipro team a few days after that World Series. 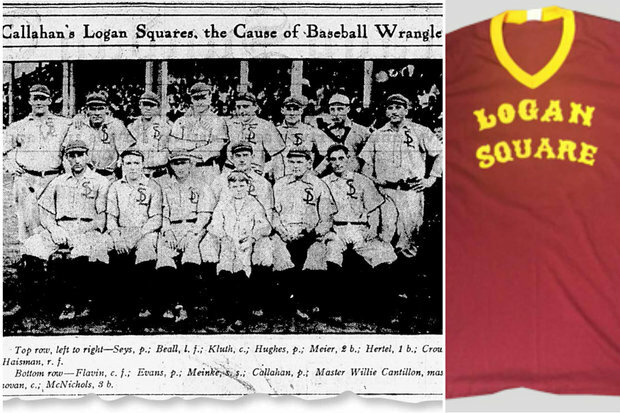 The Logan Squares, who played at Logan Square Park at the corner of Milwaukee and Diversey, defeated the White Sox 2-1 on Oct. 20, 1906, and topped the Cubs 1-0 in 10 innings the next day. 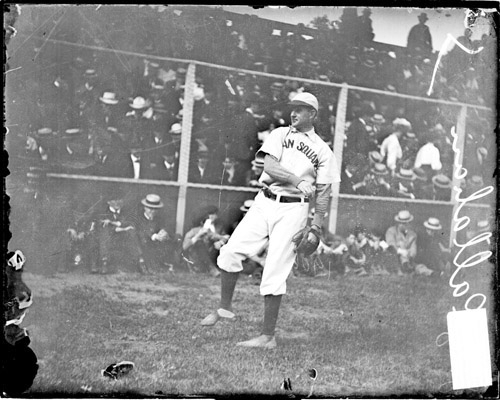 Both the Cubs and White Sox suited up most of their regular players in the games against the Squares, who were led and founded by former Cubs and Sox player Jimmy Callahan. 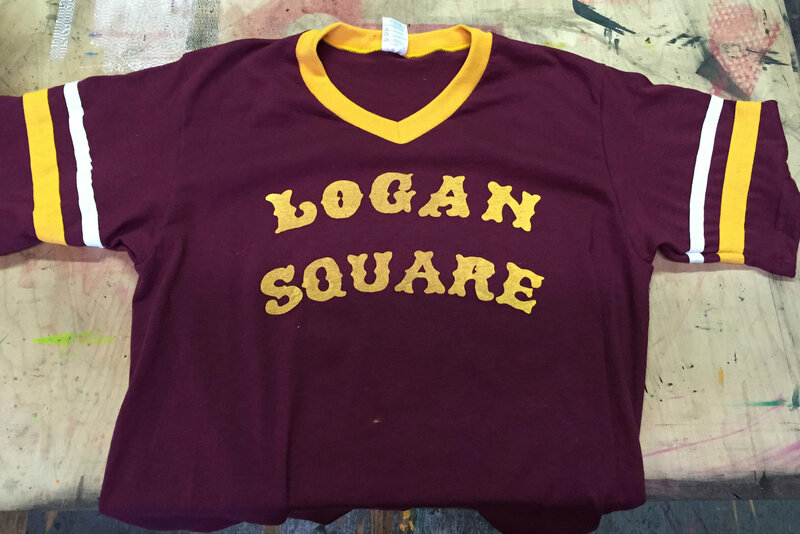 To commemorate the feat by the Squares, and the fact that the Cubs could reach the World Series for the first time since 1945 this year, nonprofit Logan Square Preservation has teamed with Logan Square-based Liberty Bank to create special Squares T-shirts. The shirts, selling for $20 starting Tuesday, are available during business hours at Liberty Bank, 2392 N. Milwaukee Ave., or by visiting libertybank.com. "There's a lot of pride in Logan Square," said Kevin Tynan, senior vice president of marketing at Liberty Bank. "The boulevards, the old houses, the mansions. These T-shirts represent the past. We thought a lot of residents would appreciate the history and like the shirts." Some 5,000 fans packed the game between the Squares and Sox, who had finished off the Cubs on Oct. 14, 1906 in the sixth game of the World Series. The Sox were on a barnstorming tour of the Midwest after the win and still employed most of their regular players. Callahan pitched the Squares to victory against the South Siders. The next day, the Squares defeated Cubs pitching legend Mordecai "Three-Finger" Brown to complete the sweep of Chicago's major league teams. The Squares lasted from 1905 to 1911, when Callahan rejoined the Sox and disbanded the team. They utilized several uniforms, including one that matched the T-shirt's maroon, gold and white color scheme. "It’s fascinating," said Tynan, of Bucktown. "People love the history when they hear about it. It’s going to be exciting to be able to show people a little history of Logan Square and the prominent place Logan Square had in Chicago sports history."